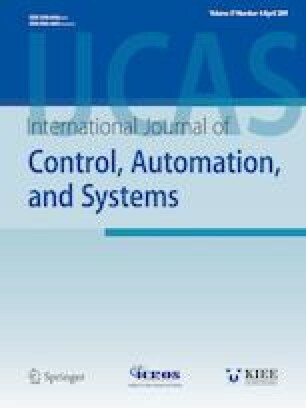 This paper investigates the sampled-data consensus problem of general linear multi-agent systems via new event-based control. Both the leaderless and leader-following consensus problems are considered. Different from the existing results, the state information is assumed to be unknown for each following agent and only the relative output information between neighbouring agents can be measured. A new Kx-functional observer-based output feedback event-based protocol is designed, which may have lower dimension than the full-order and reducedorder observer. The improved event-based condition bounds each agent’s measurement error by a time-dependent threshold. Furthermore, the Zeno behavior is excluded by showing that the inter-event time between any two triggering events is lower bounded by a strictly positive value. Finally, a numerical simulation example is presented to demonstrate the effectiveness of the proposed control protocols. Recommended by Editor Jessie (Ju H.) Park. This work was supported by the National Natural Science Foundation of China under Grant Nos. 61703060, 61473061, 61522310, 71503206, 61104104, 11601474, 11461082,the Opening Fund of Geomathematics Key Laboratory of Sichuan Province (scsxdz2018zd02 and scsxdz2018zd04) and the Program for New Century Excellent Talents in University under Grant no. NCET-13-0091. Long Jian received the M.S. degree in applied mathematics from Taiyuan University of Technology, Taiyuan, China, in 2014. He is currently pursuing a Ph.D. degree with the School of Automation Engineering, University of Electronic Science and Technology of China, Chengdu, China. His research interests include multi-agent systems, distributed optimization, and event-triggered control. Jiangping Hu received the B.S. degree in applied mathematics and the M.S. degree in computational mathematics from Lanzhou University, China, in 2000 and 2004, respectively, and the Ph.D. degree in complex system modeling and control from the Academy of Mathematics and Systems Science, Chinese Academy of Sciences, Beijing, China, in 2007. He has held various faculty/research/visiting positions at the Royal Institute of Technology (KTH), Sweden, the City University of Hong Kong, Hong Kong, Sophia University, Japan, and the University ofWestern Sydney, Australia. He is currently a Professor with the School of Automation Engineering, University of Electronic Science and Technology of China, Chengdu, China. His current research interests include distributed control and optimization, machine learning, and sensor networks. Dr. Hu has been serving as an Associate Editor for the journal Kybernetika since 2016. Kaibo Shi received his Ph.D. degree in School of Automation Engineering at the University of Electronic Science and Technology of China. He is an associate professor of School of Information Sciences and Engineering, Chengdu University. From September 2014 to September 2015, he was a visiting scholar at the Department of Applied Mathematics, University of Waterloo, Waterloo, Ontario, Canada. He was Research Assistant with the Department of Computer and Information Science, Faculty of Science and Technology, University of Macau, Taipa, from May 2016 to Jun 2016 and January 2017 to October 2017. His current research interests include stability theorem, the robustness stability, robust control, sampled-data control, synchronization, Lurie chatic system, stochastic systems and neural networks. He is the author or coauthor of over 50 research articles. He is the editorial board member of Applied and Computational Mathematics and a very active reviewer for many international journals.